Today was my friend and co-worker, Mary Irene's birthday. 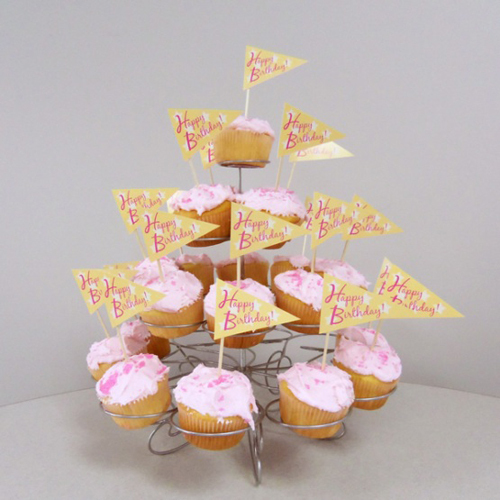 I baked cupcakes to celebrate and to make it extra special I designed cupcake birthday pennants for on top. Mary Irene is the community manager for the Tips & Projects Community so I knew she would not only love the cupcakes but the printables uploaded for all to use. 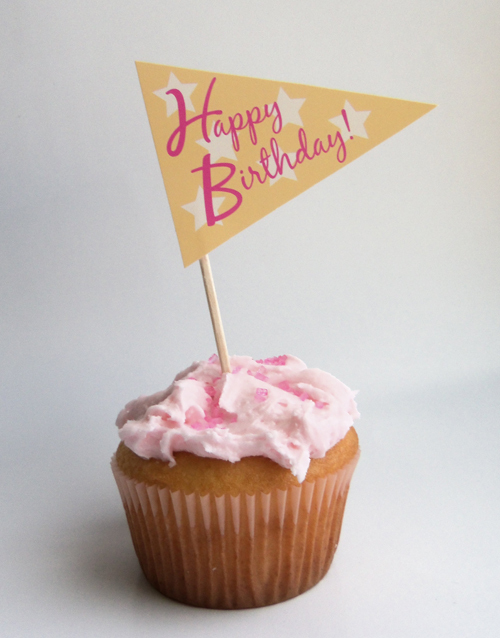 If you need some cupcake birthday pennants to spruce up your celebration - you can download the pdf here. So pretty! I can't thank you enough for making my birthday so special yesterday. The cupcakes were as light and fluffy as air, and I swoon over pink frosting and glitter. The birthday pennants are SO awesome!!! Thank you again!